Johannesburg - Recent drastic declines in the international oil price and the resultant sharp cuts in the local petrol price could herald a sharp turnaround in South Africa’s more immediate fortunes, according to Old Mutual Investment Group. And this sharp fall, if sustained, will have a number of positive impacts on the SA economy, starting with the consumer and reduced inflation. Speaking at Old Mutual's first quarterly media briefing for 2015, senior economist Johann Els said the first obvious beneficiary will be the SA consumer. In 2014 consumers spent R106bn on fuel. “The petrol price drop will mean a saving of some R20bn – or about 1% of total consumer spending,” he said. The next obvious positive impact will be on inflation. “We expect headline inflation to fall sharply further from the 5.5% at the end of 2014 (and a 2014 peak of 6.6%) to close to 3% by April. We expect average 2015 inflation to be 3.8%, sharply down from the 6.1% in 2014," said Els. 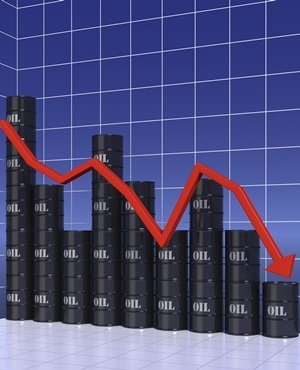 According to Els, another positive impact from lower oil prices should be a sharply smaller current account deficit. “Given that oil accounts for 17% of all imports, each 10% drop in the oil price – sustained for a full year – lowers the current account deficit by about 0.6% of gross domestic product (GDP). We expect the Current Account Balance ratio to improve from -6% of GDP in 2014 to -3.8% in 2015,” he said. "The substantially lower inflation trajectory, an improved current account and a more stable currency will take pressure off the SA Reserve Bank (Sarb) in terms of rate increases," Els added. Els believes that the positive mini budget in October 2014, where the minister committed to an improved fiscal position by cutting expenditure and raising taxes, will likely be expanded on in Budget 2015 next month. “An improved economy gives government more options regarding tax income and we expect some tax hikes as alluded to in October,” said Els. "The rand could possibly also perform more stably during 2015 – maybe even strengthening somewhat in the short term. The currency should be supported by slower US policy normalisation, a lower SA current account deficit, better fiscal position and improved inflation and growth prospects." While there still are many structural problems inhibiting the SA economy, including potential power cuts that could keep a lid on GDP growth, it seems that 2015 could be a much better year for SA, in his view. Turning to the global environment, Els said the lower oil price will also boost economic growth in oil consuming nations. “We have been expecting a positive growth surprise in the global economy even before the oil price collapse. In addition inflation will likely be lower than previously expected and many countries have already cut rates and more are to follow," he said. Also speaking at the briefing, Peter Brooke, head of Old Mutual Investment Group’s MacroSolutions boutique, shared his team’s outlook on the markets for the year ahead. “From our perspective the current big gain is reduced risk, with our key risk being the collapse of global growth. We had been particularly concerned about the possibility of a breakup of the eurozone due to Europe’s inability to generate its own growth, but the drop in the oil price reduces this risk and therefore we expect better growth across global economies," said Brooke. At the same time lower inflation ensures ample liquidity in Europe and Japan and reduces the risk of climbing US interest rates. “Our long-held theme of ‘China in transition’ and the subsequent favouring of Naspers over resource counters remain in place, as does that of a ‘low return world’. Following another good year from asset markets, especially listed property, markets continue to rerate ensuring lower returns in future. We have cut expected returns from SA listed property by 75 basis points,” said Brooke. He remains concerned about profit growth from SA equities considering lower trend gross domestic product (GDP) growth and the headwind from commodity prices. “The result is that we expect a reduced real return of 5% from this asset class – which is way off the long-term (since 1925) real return of 8.1%,” he said. In a low yield world, equity still offers the best yield, Brooke explained, and his team remains very focused on dividends. “As a result we are overweight financials in SA, and overweight global equity. SA bonds are benefiting from the surprise potential improvement of SA’s economy and currently have one of the highest yields in the world on both a real and a nominal basis. We are therefore overweight SA bonds, especially long-dated bonds,” he said. "Unfortunately, the fact that my team is excited about buying bonds at an 8% yield highlights how tough the environment is going to be when it comes to seeking returns."